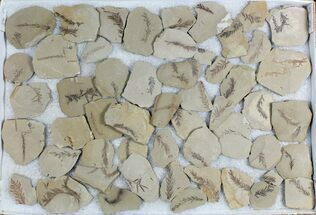 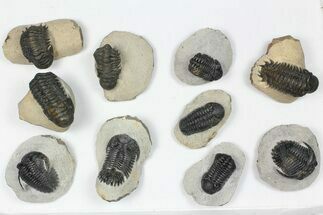 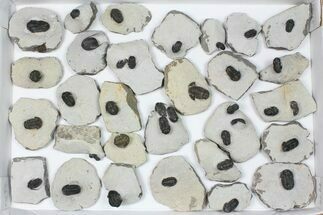 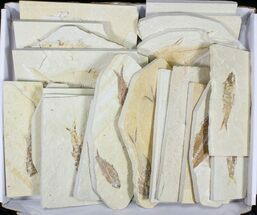 This is a wholesale flat of 117 pieces of shale with Metasequoia (Dawn Redwood) fossils from Montana. 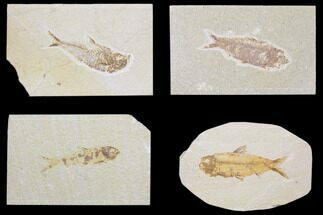 They are Oligocene in age and the dark preservation contrasts well against the light colored shale. 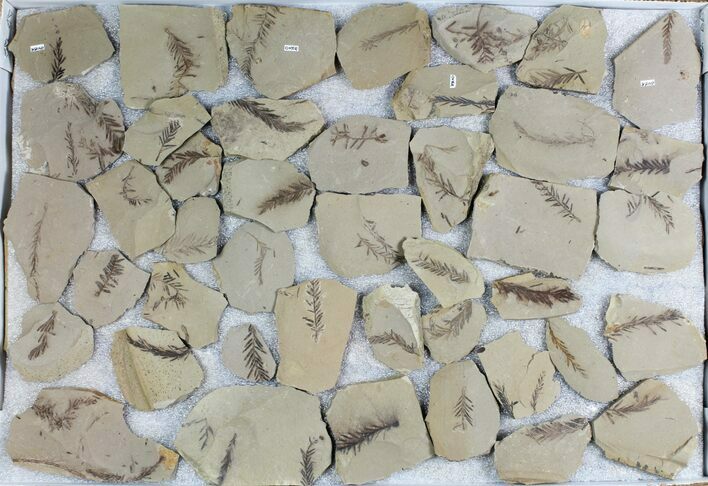 The Metasequoia genus was considered extinct until a living population was discovered in China in 1941. 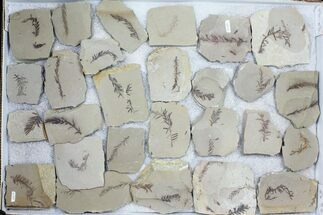 This makes the dawn redwood a classic example of a living fossil.